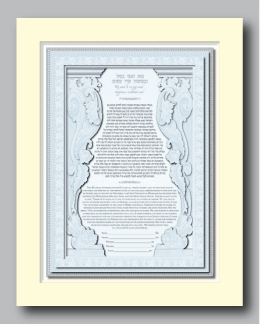 The inspiration for the “Victorian Grandeur” ketubah originates from the lush ornament and architecture of the Victorian era. 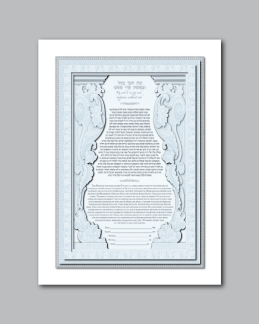 The outer frame surrounding the main image is reminiscent of carved stone. 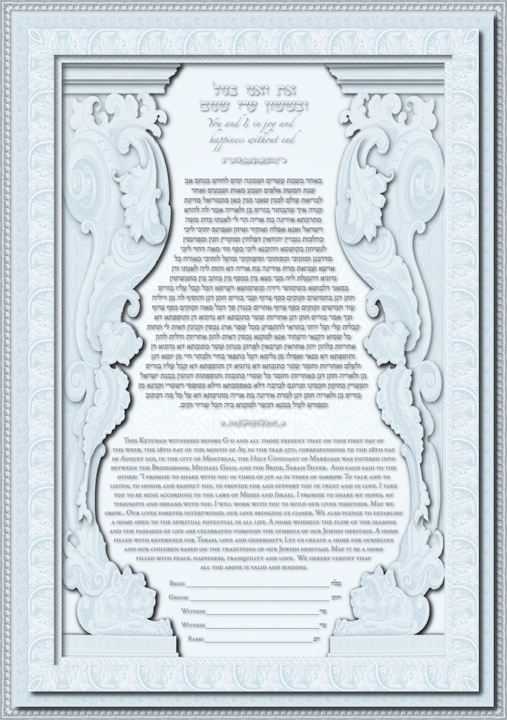 Each side of the inner design displays an intricately detailed sculptured corbel. 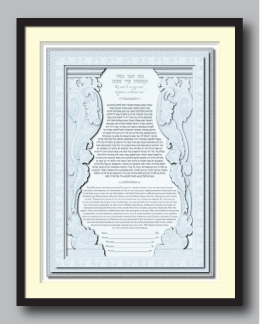 These architectural elements create a beautiful frame that surrounds the text of the ketubah.